Market UK 2019 Convention will take place over 2 days on Saturday June 8th and Sunday June 9th at the MacDonald Burlington Hotel on New Street in Birmingham just across the street from the Birmingham New Street Train Station. Tickets cost £50 per person. This year's Guest Speaker is Kevin Buckman, Special Projects Coordinator for Market America World-Wide. 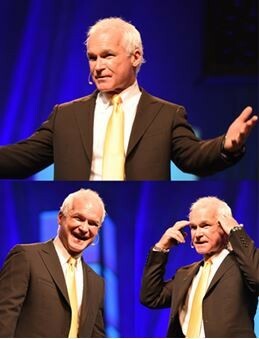 Kevin has been one of MA's most successful UnFranchise Owners over the past 26 years. He travels the globe teaching UnFranchise owners have to succeed in building their UnFranchise business. Sure to be the highlight event of the year for Market United Kingdom, this is one you cannot miss.